We are with you all the way to your driving Test... and Beyond! 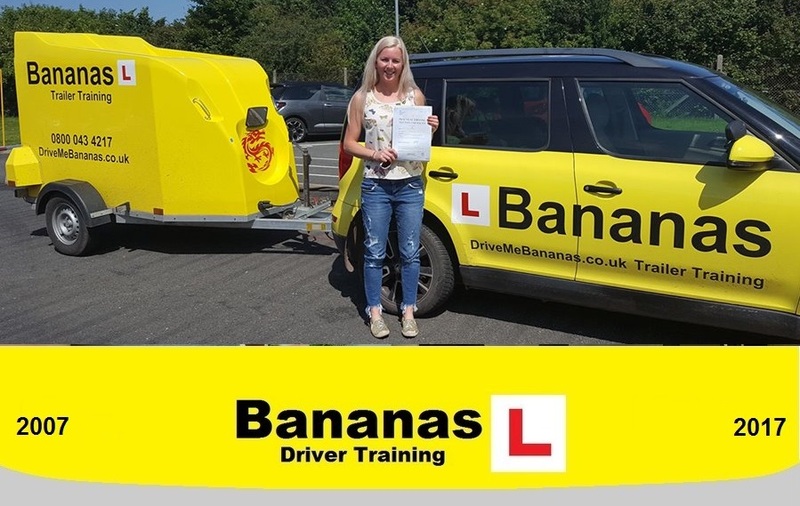 Pass your driving test quickly with Bananas driver training, driving lessons to suit your life style and budget. Fast track intensive crash course or weekly driving lessons in Edinburgh and the Lothian's, you choose. 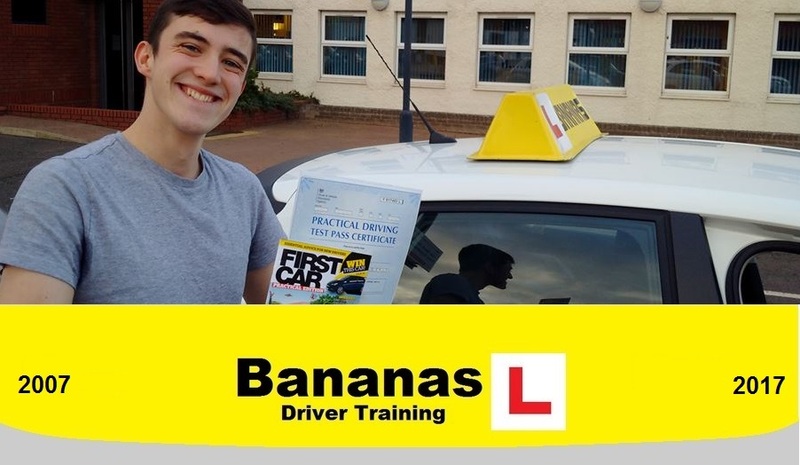 Bananas Driver Training only use fully qualifed DSA ADI's for car lessons. We pride ourselves in providing the highest quality driver training during every driving lesson to ensure our customers gain the most from their driving lessons. Our structured courses are designed to reduce the time and cost required for learner drivers to become safe, confident and competent drivers and pass the practical driving test. 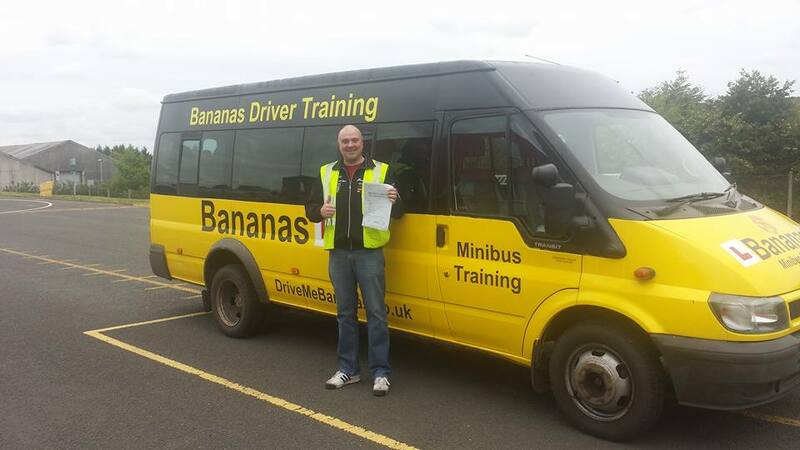 Bananas Driver Training specialise in offering Intensive courses in addition to weekly driving lessons in Edinburgh. 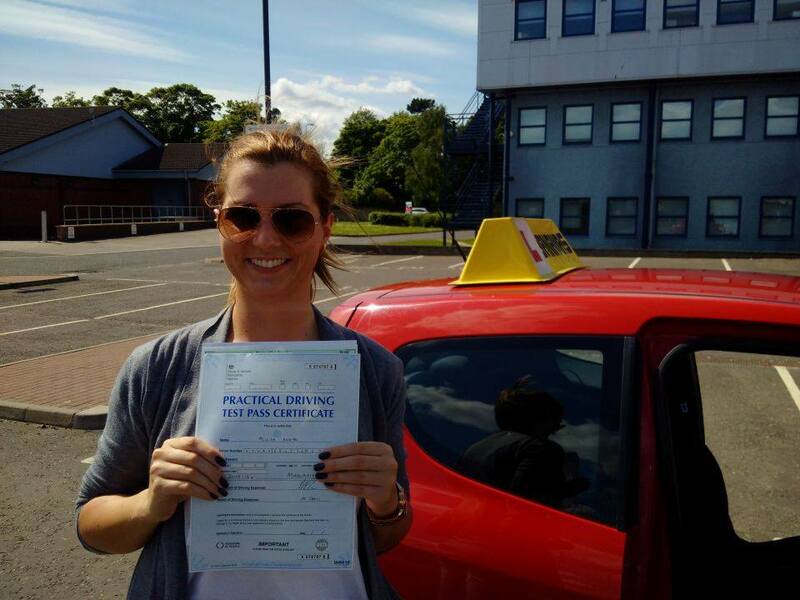 We offer professional driving tuition in manual in Edinburgh, East Lothian, Midlothian and West Lothian. 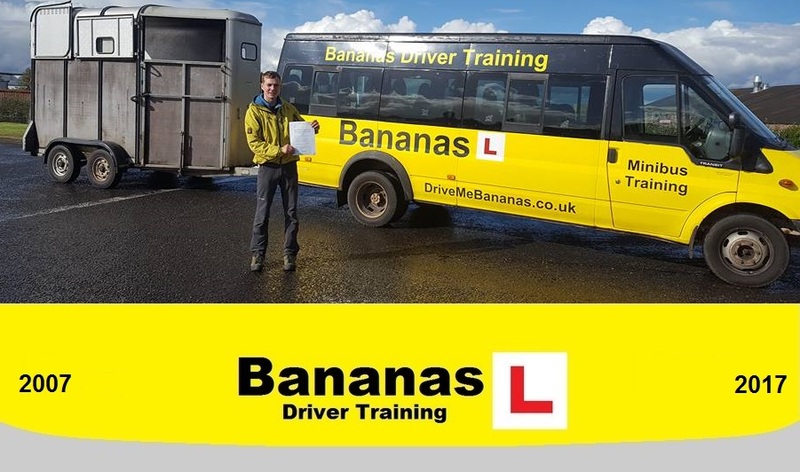 Bananas Driver Training offer B+E car and trailer training Scotland for DVSA B+E licence acquisition as well as training for full licence holders. Our B+E trainers are experienced vocational licence holders who have themselves passed the strict DVSA trailer test. We pass on our industry expertise gained from driving LGV and PCV vehicles throughout the UK. D1 D1+E minibus training Edinburgh. Horse Riders 3 for 2 offer! Get all 3 entitlements for less than a Grand! Call Jonathan 0800 043 4217 for more information. Learnt to drive with Jonathan in and around Edinburgh City centre. Throughout he was supportive, relaxing and would give ideas and personal experiences that made learning to drive an experience to remember! Would recommend his company to everyone! Excellent! Learning to drive with Dimtris was great! We covered a lot quickly, but there was enough time to go through everything needed and practice it well in time for the practical test. However, the lessons were also exciting! I would definitely recommend this driving school. Thanks Dimtris for helping me get my license! Recommend Bananas Jonathan and thanks for getting me to my test!! Passed today and v.happy!!! Are you looking for the best quality driving lessons? Do you want to pass your driving test quickly? Do you want to save money and pass as cost effectively as possible? Then get in touch and lets make it happen! with a driving instructor and 20 hours of private practice. This has increased from the previously recommended 45 hours of professional driving tuition. Government suggest changes to learning to drive and the Driving Test. Have a read at our tips on buying a car. Are Cheap Driving Lessons Cost Effective? Read our Article on the true cost of learning to drive. Can you pass your driving test in just one week? Driving Instructors Urgently Required, full training can be provided. 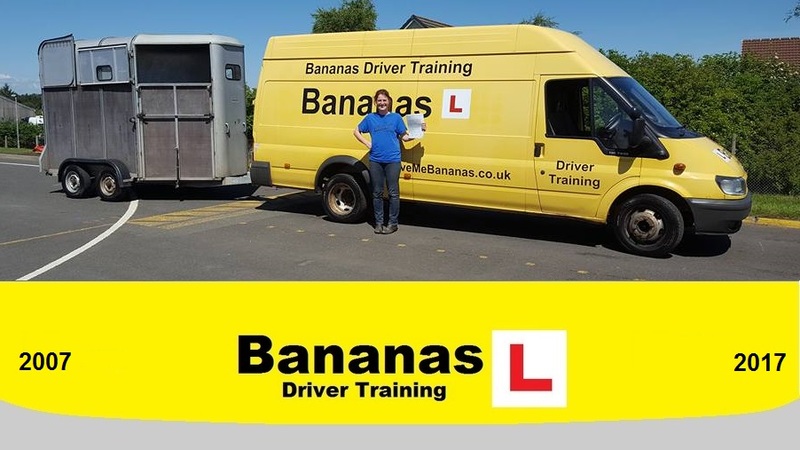 Go Bananas Driver Trainng, Driving Me Bananas Driving School, Bananas are Yellow, Driven Bananas.